Jeremejevite stone is named after Pavel V. Jeremejev, Russian mineralogist and engineer. Crystal System Hexagonal. Crystals elongated and tapering; small grains. No gem cut from the U.S.S.R material; however, the Swakopmund have been cut, with gems up to about 5 carats possible. These are a lovely blue-green color, are relatively easy to cut, and hard enough to wear. Note: Until the S. W. African find, jeremejevite was an exceedingly rare mineral available in almost microscopic grains. The African crystals are amazing in that they are both large and gem form. 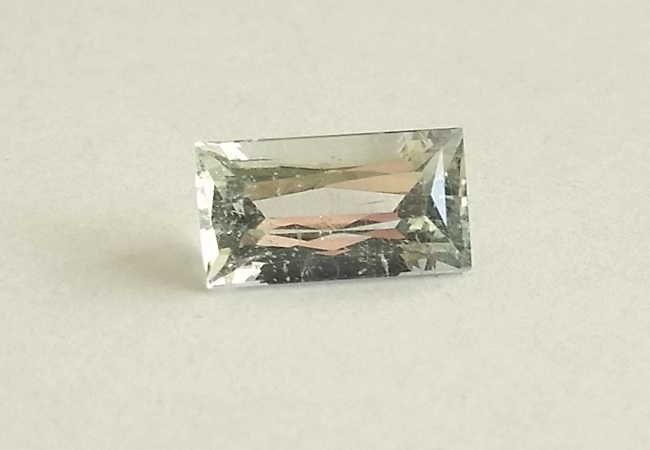 The crystals are not abundant at the locality, so jeremejevite is still an extremely rare collector gemstone.